Single coneflowers appear the first year. The big pay-off is in year 2 and beyond. A high percentage of flowers will appear as 'twins.' These blooms put on an impressive summertime show. Monarch butterflies perching on these flowers, create a memorable sight. 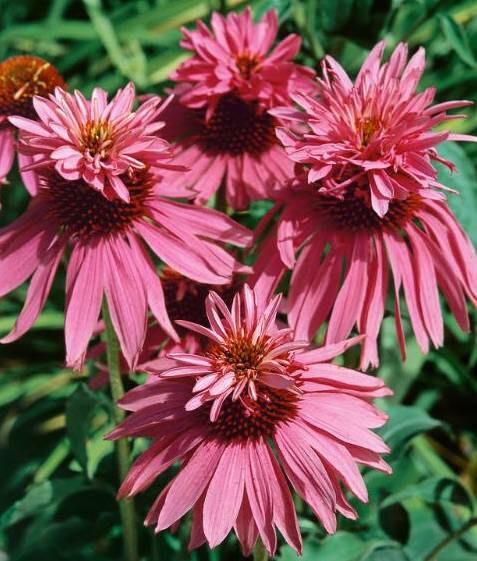 Sturdy, long stems make Double Decker echinacea an excellent source of cut-flowers. Plants are winter hardy to zone 3. Grow Double Decker echinacea with Snow Thimble foxglove, or Snow Cloud Jupiter's beard to produce a high impact planting.